People come to me about starting a business and try to figure out fundraising first. I tell them they’re thinking about it backward. It would be the same as trying to start with the kill in your hunt, without first figuring out where to put your tree stand. Start with the basics, test the waters, prove some things to work (and figure out what doesn’t), and then think about the next step. Business is no different: if you prove a model, you’ll watch the capital come to you. Get your feet wet, try a few things, and get some traction. Start small: don’t overbuild and be willing to be fluid, to roll with the punches as things change in real-time. When they inevitably do, adjust and change your course enough to test that route. When you do and you prove yourself, then financing the next level will be easy. 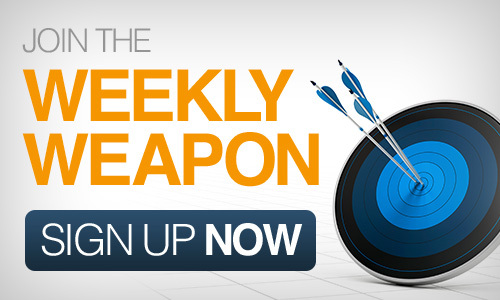 This entry was posted in Your Weekly Weapon With David Farbman on January 3, 2014 by David.